You can start a garden anywhere. 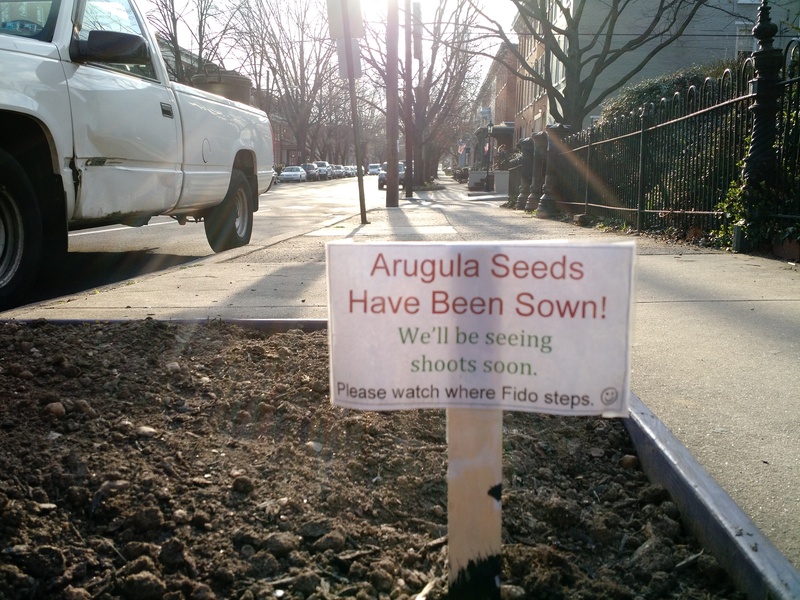 This picture or curbside arugula was taken on West Chestnut Street, in Lancaster, PA just a few weeks ago. With any luck, it may have already sprouted now and be halfway to a nice mixed salad. Think outside the box. Consider what you might be able to do with small plots of land in your own neighborhood.